What's New in AutoCAD 2020? The Block Palette is a brand-new feature which takes separate existing functionality and brings them together to provide an encompassing streamlined method of inserting blocks. It could be described as a hybrid of the "Insert Dialog" box and the "Toolpalette and Designcentre", combining the best bits of each to hasten the finding and insertion of blocks. The new `REPEAT PLACEMENT’ option is also a nice touch; subtle and easy to become familiar with and immediately put into use. The Purge tool has been made much more intuitive to operate in AutoCAD 2020; Something which has been long overdue. Previously, whilst Purge did the job it was designed to achieve, in some areas it required very specific procedures to get the results wanted which weren’t always easy to remember. Purge has now been redesigned to make this process easy to recall. An adjustable preview window has also been introduced within the Purge dialog box. This means that if you are not sure if something requires purging or not, you can have a quick look at it to be certain. Possible reasons as to why these items cannot be purged is given as well as other information, which may be useful e.g. how many there are etc. The choice to zoom in and select these items is also now available to help decide what needs to be done to them. DWG Compare operates in a slightly different way when selecting the drawings to compare in AutoCAD 2020. This change is not too different to cause confusion however. A major enhancement that has been introduced is the ability to edit the drawings whilst within a comparing state. In doing so, the colour coding will keep updating to constantly monitor the differences between the 2 drawings. A floating settings panel is available which can be pinned to remain open. This has some of the same recognisable features as before but now includes a description of what the three colours used for comparison indicate. Quick measure is another new tool to be introduced to AutoCAD 2020. It’s been added to an existing tool called MEASUREGEOM. The fact that this new tool includes the word quick is no exaggeration. In fact, it could have even been called "Turbo Quick Measure". The second this tool is activated, you are measuring. Just placing the cursor near or over objects, AutoCAD 2020 displays dimensions. Quick Measure will indicate lengths, angles and radii in an instant. If there are lines parallel to each other on separate adjacent shapes, this tool will measure the spacing between them too. 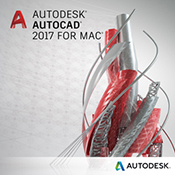 In summary, AutoCAD 2020 has introduced some long over due enhancements and new tools to make some previously cumbersome tasks a lot easier to achieve. The Blocks palette will definitely make a difference and the enhancements made to the Purge tool will make it an altogether more pleasurable experience rather than a sometimes painful one. The ability to see the differences with drawings as and when they occur is an obvious advantage of DWG Compare. The Quick Measure tool? Well it speaks for itself. Its quick and it’s easy. A definite winner of a tool. Have you ensured that your hardware is fit to run this new software release? Join us and our partner Dell EMC at our event in Manchester on 11th April "Choosing the Right Workstation for your Design Software". Terry has been providing training for over 31 years, and is an Autodesk Certified Professional in AutoCAD and Revit Architecture, as well as an Autodesk Certified Instructor. With a wealth of background knowledge and experience, Terry has delivered projects for a large number of clients across the UK, including Arup, BAA, Redrow Homes, Fosters and Gensler. His training delegates often praise his patience in ensuring that they have absorbed the knowledge needed to develop the necessary skills on their chosen platform. Terry is the back bone of the training team, and is responsible for training his fellow Excitech trainers to ensure consistency in quality.